DrupalCamp London 2014 will draw a world-wide community of open source content management system enthusiasts to City following the success of last year's jamboree. DrupalCamp London 2014 will take place at City University London from 28th February to 2nd March. The event will draw over 600 open source content management system enthusiasts from various countries around the world. Owing to the great success of DrupalCamp London 2013, the organisers had no hesitation in deciding to bring the event to City once again. Drupal is a free, open-source content management system (CMS) for online content and user communities. Drupal runs over a million web sites with users such as the Cabinet Office, the World Economic Forum, the Grammy Awards, Oxford University and The Economist. Dries Buytaert began the Drupal software as a message board in 1999 in Belgium. Within a year or so, more people became interested in using and contributing to Drupal, so the project was made open source. Drupal.org came online in 2001, and the Drupal community gained momentum in 2005 with several collaborative coding sessions and conferences. 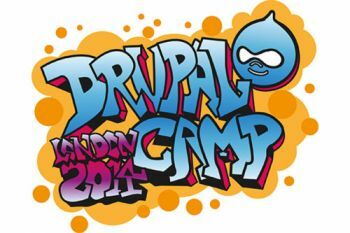 "DrupalCamp London 2014 is partnering with the Drupal Association on Drupal Global Training Days. City students have been invited to attend sessions and the training they receive will bolster central and local government initiatives around getting young people into the technology sector." The key themes to be addressed during the open source software jamboree include creating a greater awareness of the Drupal community, promoting London as one of the community's leading cities, and, assisting in the overall development of Drupal. "City is very excited to be hosting DrupalCamp London 2014. This is a fantastic event drawing people from across the globe to our campus. The Drupal community has invested tremendous confidence in our facilities, students, academics and our proximity to Tech City and the digital industries. The event promises to be larger than it was last year with more speakers, more technology and even more attendees. We are once again proud to have a relationship with open source communities such as Drupal. This is a valuable opportunity for our students to network with industry professionals for future employment and to gain exposure to leading edge technology and its applications."